Scottish Health Secretary Shona Robison. 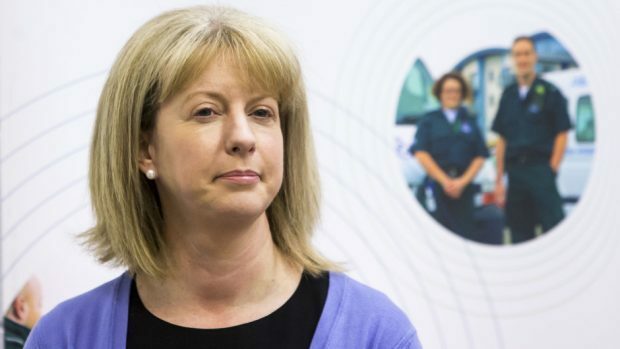 An MSP has called for Scottish Health Secretary Shona Robison and Highland health chiefs to step down for failing to recruit vital specialists. Frustrated consultant surgeons and doctors have vented their anger over the issue in unprecedented letters to the board. Consultants and doctors at NHS Highland’s Department of Medicine have expressed “significant concerns about the problems” in radiology at the region’s main hospital, Raigmore in Inverness. The crisis has surfaced in the run-up to an annual review of the service – on Friday – when Ms Robison will meet NHS Highland chiefs. The board confirmed yesterday that it had received two letters – from consultant surgeons at Raigmore and from physicians in the Department of Medicine. “Colleagues are expressing significant concerns about the problems currently being faced by radiology in NHS Highland, a spokeswoman said. The board considers the consultants’ letters “measured,” and said the consultants were “willing to work with the board to address the significant challenges”. While unsurprised by the letters, Conservative Highlands and Islands MSP Ed Mountain was saddened. He said: “It reflects a problem across NHS Highland which the Health Secretary has failed to resolve. I’d be surprised if she was able to remain in position post the next cabinet reshuffle. A spokeswoman for the Scottish Government said: “Ministers are conducting the annual review of NHS Highland this week and will meet with the area clinical forum to discuss these concerns.